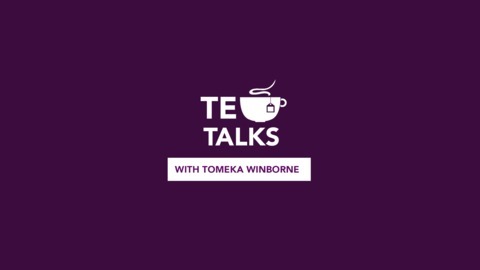 TEA TALKS WITH TOMEKA Podcast celebrates women filmmakers, their journeys and their projects! I am your host Tomeka M. Winborne so let's talk her... on every other Thursday! Music by Julius Ames. 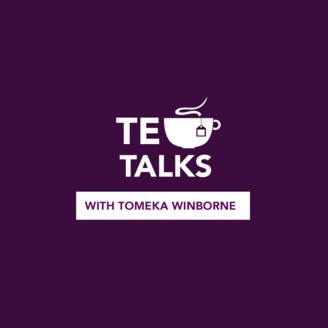 Please subscribe and listen to Tea Talks with Tomeka Podcast and leave a review. Since then, Alexxiss has served as Director of Photography on numerous pieces, ranging from narrative films, commercials, promo spots, TV show segments, and music videos. Her work has been recognized at least 20 times by a number of international bodies, including film festivals across the United States, Canada, Australia, Kenya, Uganda, the Netherlands, and the UK. She was spotlighted on Amy Poehler’s Smart Girls in March 2018. Also in 2018, she was invited to speak publicly at TERMINUS Conference + Festival, where she presented a seminar entitled “Cinematography: Crafting a Look with Lenses and Filters” that was very well received. She has spoken on several other panels, podcasts, radio interviews, etc; not only about cinematography, but also what it’s like to be a woman of color in the film industry. Emelyn Stuart: "Stuart Cinema and Cafe" & "Ocktober Film Festival"